At Lone Star Automotive, we’ve quickly become known as experts in the full-service auto repair and maintenance industry in Midland, TX. Our customers return time after time to our shop because they have confidence and trust in our automotive services and repairs. We’re here to help protect not only your investment and fuel efficiency but your families safety as well. Our ASE certified technicians specialize in performing top quality auto repairs and service for most makes and models, including diesels. Using only the best state-of-the-art technology, tools and equipment to ensure our customers the most accurate diagnosis and repair of any current or potential issues. When you bring your vehicle to us, you can rest easy knowing all auto repair and maintenance services are backed by a nationwide 36-month / 36,000-mile warranty and nationwide roadside assistance. 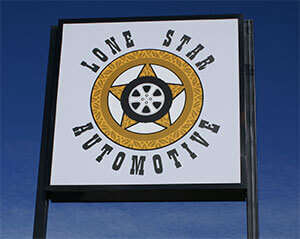 Additionally, we are the only AAA approved shop in the Permian Basin. We’re proud of our success and the ability to give back to the Midland Community which has been so good to us. It could not have been done without our wonderful and loyal customers. Therefore we are always happy to return the favor. Lone Star Automotive is owned and operated by proud West Texans who love the area, its industries, and all they stand for. We’ve been here, and we’ll continue to be here. You can always count on us for the highest quality, most honest service in the industry. We pride ourselves on doing great work for the West Texas community, who are our friends and neighbors. 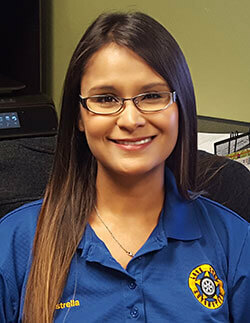 I was originally hired in 2009 as an assistant to the Service Advisers. I learned everything that I could and became sort of like the person that people asked, “Hey can you tell me how to do this?” I would tell people to do their job when things were not getting done. I feel that every customer should be prioritized. In 2012 I was promoted to General Manager. I find happiness working at Lone Star! My favorite thing about working here, is the relationships that we make with our customers, I love seeing our repeat customers and catching up with them when they stop by. Another thing I like is seeing the smile on a customer’s face when they pick up their vehicle running great, after it was dropped off not running at all. You might see me volunteering around town! I volunteer with area schools and programs whenever possible. America’s kids are tomorrow’s leaders and I believe in being a positive influence toward that affect. In the past, I’ve volunteered with Junior Achievement and similar organizations, doing everything from teaching finances to economics and business operations. I sincerely believe that helping kids to understand how business and finances work is a powerful set of tools for their success as adults. I am a voracious reader I read anything and everything I can get my hands on. I love to spend time with my family. It is my children that drive me to be the best that I can be.